Claire and Rory are a young and nice Irish couple that choose Lake Orta for their wedding on Italian Lakes. The lovely event took place in a charming spring afternoon. A little shower made the event even more frizzy but so beautiful! Just have a look to Claire’s bouquet created in hand-tied style with a small variety of Calla Lily. Civil ceremony was celebrated in the garden of Villa Bossi, Orta San Giulio Town Hall. The garden was even more beautiful thanks to wisteria blooming pergola that arrives down to the shores. 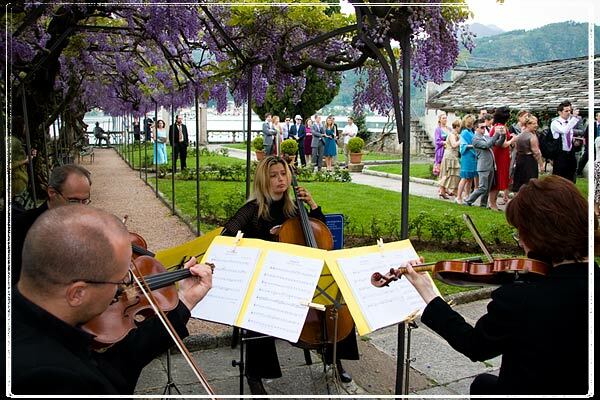 Koiné String Quartet were Italian Lakes Wedding representatives. They accompanied the ceremony with some of their best tunes such as “The arrival of the Queen of Sheba” and “Pachelbell’s Canon in Re”. 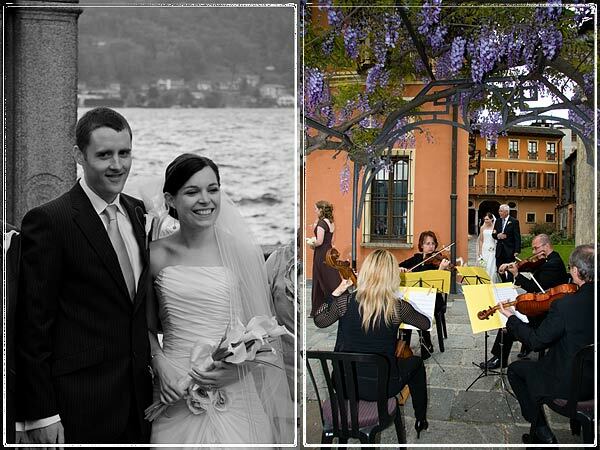 Italian Lakes Wedding would like to wish to Claire and Rory all the best and thanks for choosing Lake Orta and Koiné String Quartet for their wedding in Italy.